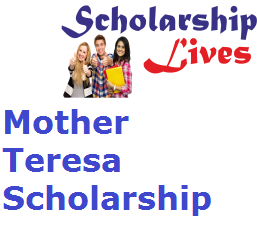 Department of Minority Welfare, Government of Kerala will soon activate the Mother Teresa Scholarship 2019 Application Form for all the minority students who are studying in nursing diploma / paramedical courses. The main objective of the foundation is to support the brilliant hardworking students who need financial aid to complete their studies. Shortlisted applicants will get INR 15,000 P/A for their individual course. Xerox copy of registration with photo pasted on it. Xerox copy of allotment memo. Xerox copy Aadhaar Card/ NPR card. Xerox copy Community/ Minority certificate. First of all, applicants belong to the minorities like (Muslim, Christian, Sikh, Buddhist, Parsis, Jains). Applicant must have secured admission in the merit list for applying the nursing diploma / paramedical courses. Parents income should be less than 8 lakh. Applicants should be the resident of Kerala. The scholarship scheme will be divided between the Muslim students and students of other majority categories in the ratio of 80:20. 50 % of the scholarship scheme is kept for the girls.